Upper East Side Neighborhood UES / Manhattan Things To Do / Gotham Buzz. 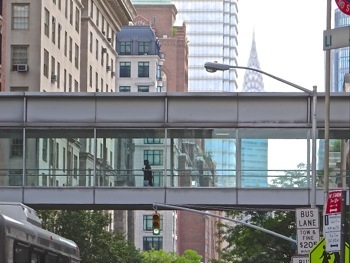 This section provides an overview of the main attractions on the Upper East Side. 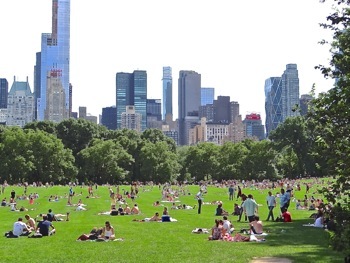 In this section we provide a look at the main cultural venues, tourist attractions, parks and facilities one can find on the Upper East Side neighborhood of Manhattan in NYC. 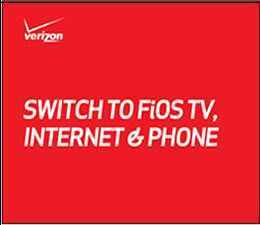 Click here for Things To Do In Manhattan NYC. 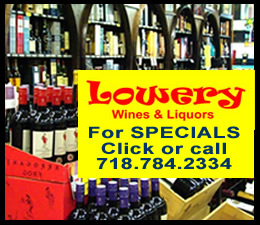 And Things To Do In Manhattan Memorial Day Weekend and soon to come - Things To Do Labor Day Weekend in Manhattan. You can also view a list of venues offering things to do in Midtown NYC, as well as down in the East Village things to do NYC. 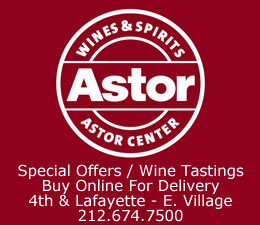 Click here to go to our Things To Do Upper East Side section. 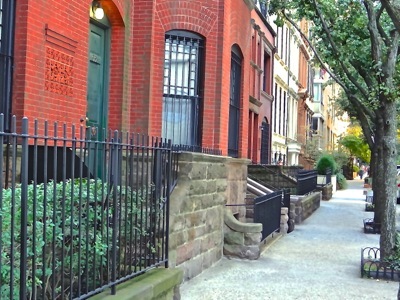 And click here to view a history of the Upper East Side including UES historical sites. UES Neighborhood / Things To Do Manhattan / Gotham Buzz. Continued. This is an evolving section dedicated to alerting folks to some of the fun things to do on the Upper East Side neighborhood of Manhattan. 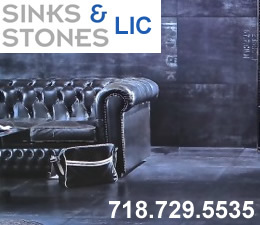 We are defining the Upper East Side a bit different from how it has been defined in the past, as the city keeps changing and our delineation of the UES neighborhood will make more intuitive sense than the technically drawn lines of yesteryear. For our purposes the Upper East Side neighborhood encompasses all of the blocks directly east of Central Park and running to the East River. Hence this includes the blocks beginning at 59th Street on the southern edge and what would be the equivalent of 110th Street on the northern end of the park, which on the Upper East Side is named Tito Puente Way. The Upper East Side is home to a very rich collection of museums and cultural centers due in part to its historical ties to the great American Robber Barons of the 19th century. These men - including the likes of Andrew Carnegie, Henry Clay Frick J.P. Morgan, John D. Rockefeller and Cornelius Vanderbilt - gave generously of their ill-gotten gains. 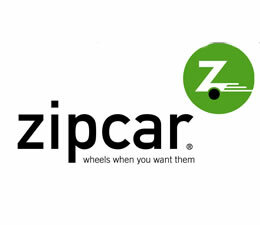 "businessmen who used ... exploitative practices to amass their wealth ... practices including exerting control over national resources, accruing high levels of government influence, paying extremely low wages, squashing competition by acquiring competitors in order to create monopolies and eventually raise prices, and schemes to sell stock at inflated prices to unsuspecting investors in a manner which would eventually destroy the company for which the stock was issued and impoverish investors. The term combines the sense of criminal ("robber") and illegitimate aristocracy (a baron is an illegitimate role in a republic)." Generally speaking one might assume not nice people, like robbers and very wealthy, like barons - and they lived in New York City - many along 5th Avenue in the New York City neighborhoods later to become known as the Upper East Side and Midtown Manhattan. I suppose one of their redeeming graces was that generally speaking toward the ends of their lives, they did give generously some of the bounty they had accrued over their lives to the cultural institutions of New York City and most of it ended up in Manhattan and a lot of it along the Upper East Side. 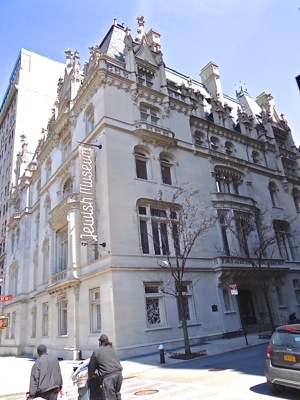 Museum Mile stretches from the Frick Collection [musem] at 70th Street on 5th Avenue to El Museo del Barrio along 5th Avenue at 104th Street. In between this 34 block stretch of the Upper East Side one can find the Metropolitan Museum [at 82nd Street], the Neue Gallery [at 86th Street], the Solomon Guggenheim Museum [at 88th Street], the National Academy Museum [at 90th Street], the Cooper Hewitt Smithsonian Design Museum [at 91st Street], the Jewish Museum [at 92nd Street], the Museum of the City of New York [at 103rd Street] and the two museums mentioned at the outset which define the boundaries of the Museum Mile. It's important to note that the robber barons contributed heavily to some of these institutions and not others. As we provide reports about these institutions, we generally make efforts to look back to their origins, so some references will be included in later reports. Also, be advised that we all have the capability to do both good and evil - it's just a matter of who we are that defines how we conduct ourselves. And who we are can, and oftentimes does, change over time. Perhaps some of these men went through Ebenezer-Scrooge-like exorcisms as they approached old age [and perhaps not]. Hopefully we grow wiser, as we grow older, and in some measure make efforts to correct some of the imbalances and injustices of our lives. But I digress. Along 5th Avenue at 70th Street. along 5th Avenue at 104th Street. along 5th Avenue at 82nd Street. along 5th Avenue at 86th Street. along 5th Avenue at 88th Street. along 5th Avenue at 90th Street. along 5th Avenue at 91st Street. along 5th Avenue at 92nd Street. along 5th Avenue at 103rd Street. along 5th Avenue at 80th Street. 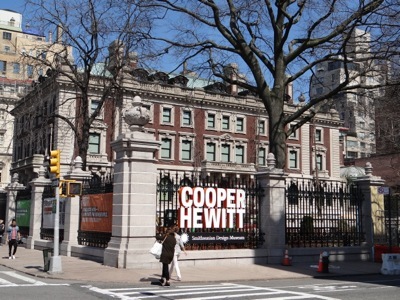 There are plenty of other cultural institutions on the Upper East Side besides those found along 5th Avenue. Gracie Mansion, the Mayor's home, is located between East End Avenue and the FDR Drive at 89th Street on the UES. The mansion is generally managed as a private residence and is rarely open for public events. 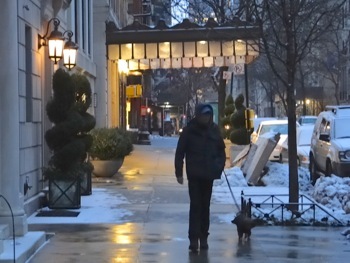 Along Park Avenue near 70th Street. Here's a story we did about a musical event at the Asia Society. along Park Avenue at 66th Street. along Lexington Avenue at 92nd Street. A Jewish multi-cultural center at 92nd Street and Lexington Avenue on the Upper East Side. While it's a Jewish center, the public is welcome to attend their events. The 92nd Y was founded in 1874 by German Jewish professionals. at East 79th Street at Madison Avenue. The library was founded in 1754 and is the oldest library in New York City. The library was first housed in the old City Hall near Wall Street and makes claim to being the nations first library of congress as New York was briefly the nation's capital following the American Revolutionary War. The New York Public Library system was first authorized in 1895. The library is located in a 1917 Italianate town house, which was designed by Trowbridge and Livingston [also did J.P. Morgan's offices & the St. Regis Hotel]. at 59th Street between Park & Madison. 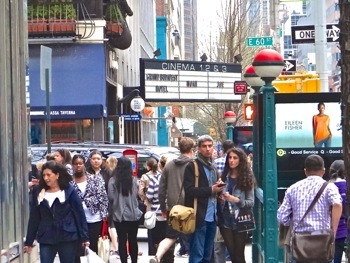 The photo at right is a movie theater near Bloomingdales department store. See Art & Cultural & Historical sections above. 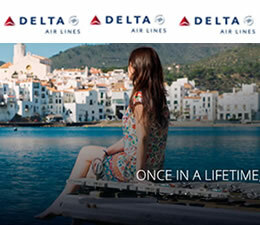 Click here to view a listing for other Manhattan things to do - tourist attractions. Here's a review of a French restaurant on the Upper East Side - D'Orsay. 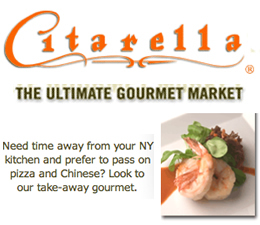 Click here for a listing of other Manhattan restaurants. 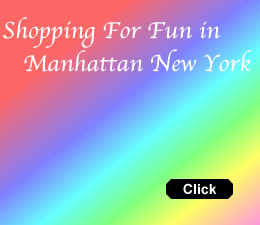 Click here for a listing of other Manhattan shops & shopping. at Lexington Avenue and 68th Street. at York Avenue & 66th Street. 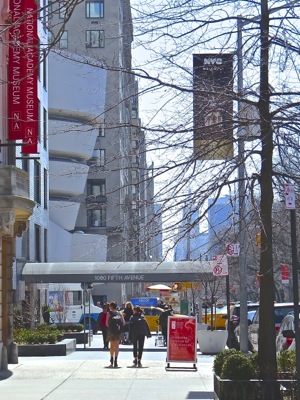 Click here for other Manhattan Colleges & Universities [TBD]. at East End and 86th Street. from 59th Street & 5th Avenue on the UES to 110th Street and Central Park West on the UWS. Click here for other Manhattan Parks [TBD].